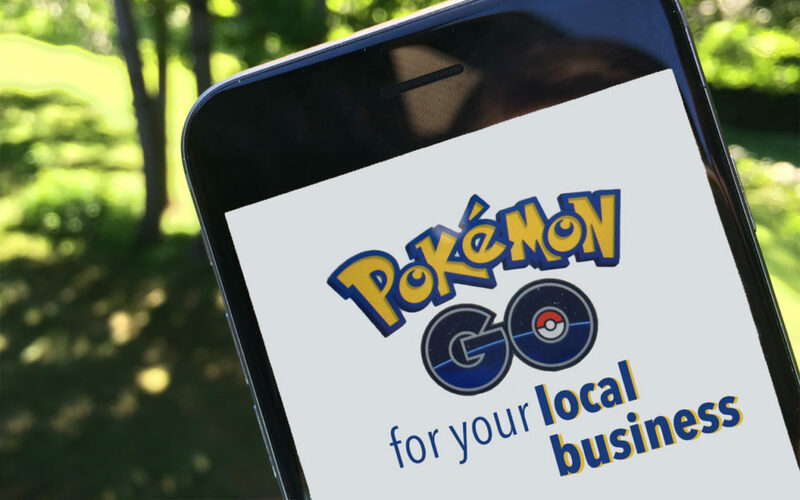 If you’re a local business owner and haven’t kept up with the recent buzz surrounding Pokémon Go, there may be a good reason for you to tune in! The augmented reality game has taken over the digital world in the past week with over 15 million downloads. It’s installed on more devices than LinkedIn, and people are spending more time per day playing the game than using Facebook, Snapchat, Twitter or Instagram! Why does this matter for your local business? What makes this mobile-app unique is that it is geographically-based, sending users to real world locations in order to capture Pokémon. Why not make that “real world location” your brick-and-mortar store, and increase foot traffic? If you business happens to be a “Pokéstop” or is near one (download the app to check), you can purchase something called a lure. A lure attracts more Pokémon, and therefore more gamers, to your location for a span of 30 minutes, and only costs 99 cents! Buy multiple lures to make the effect last for a few hours, and then promote your “lure party” on social media! You can make this event even more attractive for local players by posting about coupons or specials you will be offering during the time your lures are active. *To purchase a lure, tap the red Pokéball inside the app, press “Shop” and then tap the purple Lure icon. After paying, tap the red Pokéball again, press “Items” and tap the purple lure to activate. Post content related to the game (or take user-generated content from the screenshots in the tip above) and use hashtags #pokemongo and #pokemon, along with location-based hashtags for your area. This will allow nearby players to easily find you on social media, and let them know that they should come scout out your location. Provide a discount to players who post screenshots of Pokémon they capture in your store and tag you on social media. This spreads the word to their followers – who are most likely in your area – that your store is a good place to catch Pokémon. To drive even more gamers to your location, make sure you’re constantly promoting this discount on your social pages. Even if the world of Pokémon is foreign to you, you can easily leverage this fad as a local marketing opportunity. Get the players in your community through your door, and start converting them into paying customers!